Info material about the first volume of the IRTG Diversity's Publication Series "Diversity / Diversité / Diversität"
Of ’Contact Zones‘ and ‘Liminal Spaces‘ introduces the publication series “Diversity / Diversité / Diversität” of the International Research Training Group (IRTG) Diversity (Trier/Montreal/Saarbrücken). 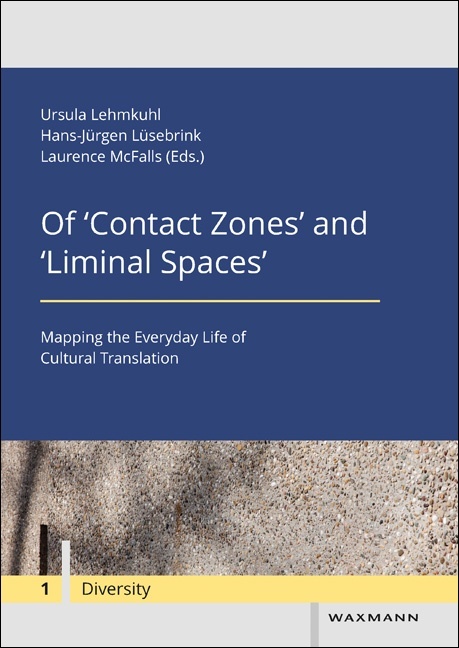 The contributions to "Of 'Contact Zones' and 'Liminal Spaces'" address core concepts and research perspectives of our interdisciplinary research group. The IRTG Diversity focuses on a comparative and historically situated analysis of discourses and representations of diversity and cultural pluralism in North America and Europe. The empirical research published in this volume demonstrates how these discourses and representations of diversity create overlapping zones of geographical and chronological reach. 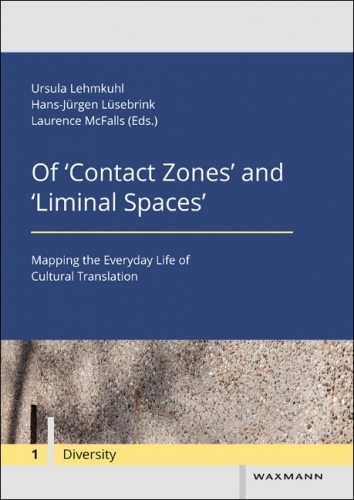 These overlapping and highly dynamic zones bear the characteristics of ‘contact zones‘ and ‘liminal spaces‘. However, they receive their social and cultural dynamism from everyday practices of cultural translation. Contributors: Ursula Lehmkuhl (Trier), Hans-Jürgen Lüsebrink (Saarbrücken), Laurence McFalls (Montreal), Ludger Pries (Bochum), Régine Robin (Montreal/Paris), Philipp Rousseau (Montreal), Werner Schiffauer (Frankfurt/O. ), Bertrand Westphal (Limoges).